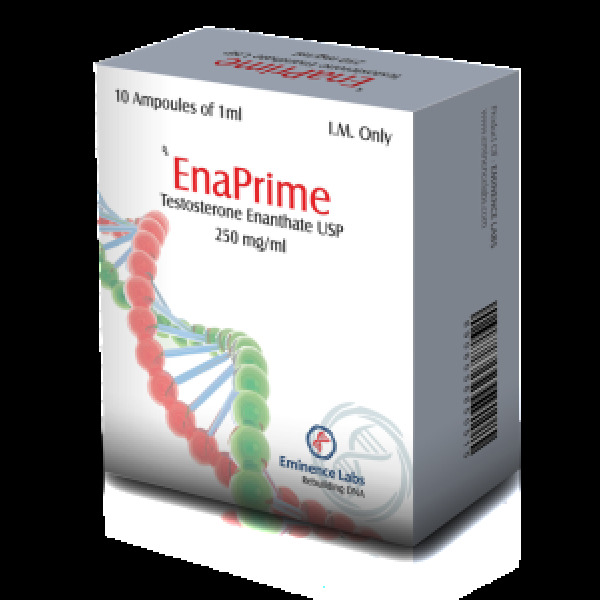 Enaprime (Testosterone enanthate) is an ester of natural testosterone. In bodybuilding – this is one of the most popular steroids for muscle mass gain. 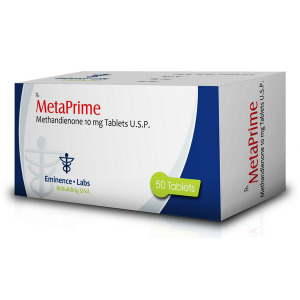 Testosterone enanthate is a long-acting steroid. Depending on the metabolism and hormonal background, the average period of the drug is 2-3 weeks (half-life of 6-7 days) . In bodybuilding, triathlon and weightlifting, injections are performed once or twice a week to maintain a consistently high and as stable as possible concentration. Testosterone enanthate is widely represented on the Russian market. Popular in the 90’s, Poland’s Truenieron Prolongatum is now virtually non-existent. One of the best brands is the Testosterone Depot produced by the Yugoslav firm Galenika. Excellent proved themselves Testin-100 and Testin-250 Indian B.M. Pharmaceuticals. As experience shows good results can be obtained from Primoteston Depot, manufactured in Egypt by CID company under the license of Shering AG. Enanthate is a long-acting ether. It should be noted that the period of exposure depends largely on the individual characteristics of a person and can vary within two to three weeks. The half-life is 6-7 days. The level of conversion to estrogens is high. Suppression of the hypothalamic-pituitary-testicular axis is significant. Duration of action – up to half a moon. Detection time – up to 3 months. 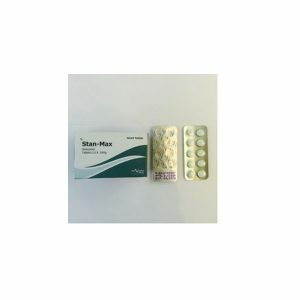 Testosterone enanthate is produced exclusively in the injectable form. 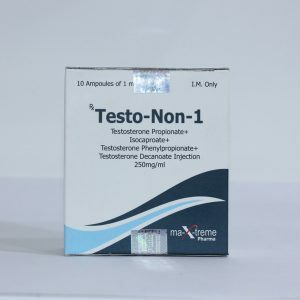 The most pronounced minus of the drug is a high conversion to estrogens, which is the cause of side effects: gynecomastia, swelling, fat deposits. They, as a rule, are shown at non-observance of duration of reception and dosages. 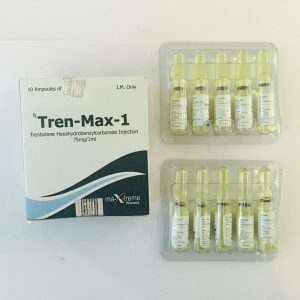 The use of antiestrogens to eliminate these drawbacks refers to the old method, which is inferior in effectiveness to the intake of aromatase inhibitors. The use of antiestrogens should begin after the removal of enanthate with the goal of restoring the normal production of the hormone. Along with the listed side effects, blood pressure, hair loss, aggression can increase, acne (acne) may appear.